Julia loves to chew on her fingers. 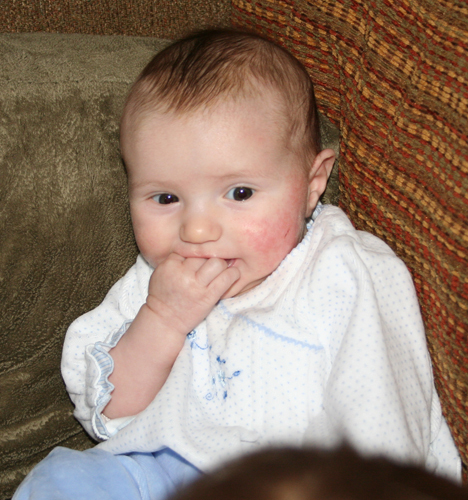 This day she was sitting up like a big girl and chewing on her fingers. How cute!! Julia was weighed and measured at her doctor appointment. At 3-1/2 months she weights 11 lbs 6oz and measures 24-1/4 inches long.